Millard Fillmore was Zachary Taylor’s Vice President and later on assumed presidency upon Taylor’s death in 1850. Fillmore was the 13th U.S. President and the last member of the Whig party to become a United States President. As a New York lawyer, he eventually became a member of the New York State Assembly, the lower house of the New York State Legislature. He was also included in the Anti-Masonic party that opposes Freemasonry. The Morgan Affair, the issue on the disappearance of the Freemason William Morgan, led to the establishment of this party. It is said that the Freemasons silenced Morgan whom at that time was planning to disclose the secrets of the Order through publishing a book. His kidnappers were charged accordingly, and his alleged body was buried, but the Freemasons denied killing Morgan and stated that he was paid and forced out of the country. 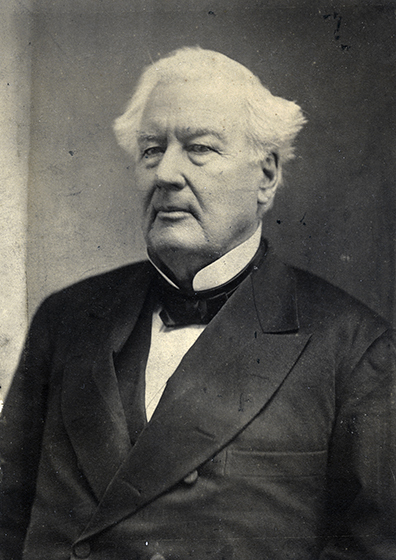 Fillmore was elected in the 23rd U.S. Congress for the first time. He joined the Whig party which included Thurlow Weed, an influential politician that became an instrument in the presidential nominations of late U.S. Presidents like Zachary Taylor and Abraham Lincoln. Fillmore was against the extension of slavery into the annexed territories of the Union and was always re-elected until the 27th U.S. Congress. 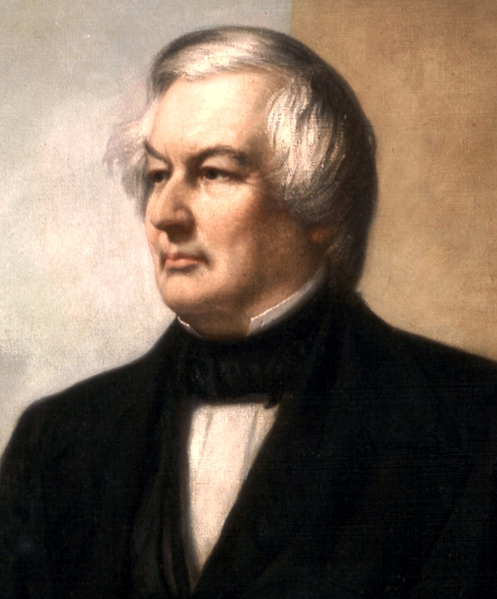 While in Congress, Fillmore authored the Tariff of 1842, or commonly called the Black Tariff. This nullified the Compromise Tariff of 1833, which lowered the taxes on import and export, and other imposed tariffs, for a period of ten years before applying the twenty percent tax level. The Whig supporters of the 1842 Tariff insisted the tax increase to catch up to the European competitions. President John Tyler reluctantly signed and so upon implementation, which greatly impacted the United States, decreasing imports instantly by almost half. 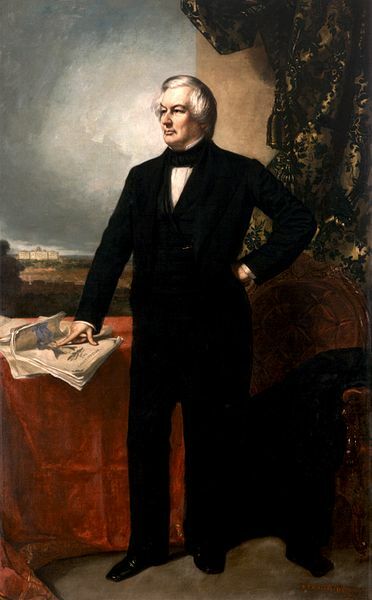 Fillmore was also chosen as a Whig candidate for Governor of New York in 1844, but lost. He was then chosen as a New York State Comptroller, which audits the states government operations and also manages the retirement system, by general ballot. Joint ballot was always performed and so it was the first election using general ballot. His contribution upon his term was the remodeling of the New York banking system into preparing for a National Banking System. In 1848, Fillmore was elected as Zachary Taylor’s Vice President and won. Most of the Whig supporters were not in favor of Taylor, so the Whig party chose Fillmore to be second in line. Taylor’s death cut his term short, thus allowing Fillmore to become the President. Fillmore disagreed with Taylor regarding the issue of slavery in which the former was supporting the extension of slavery on new annexed territories. 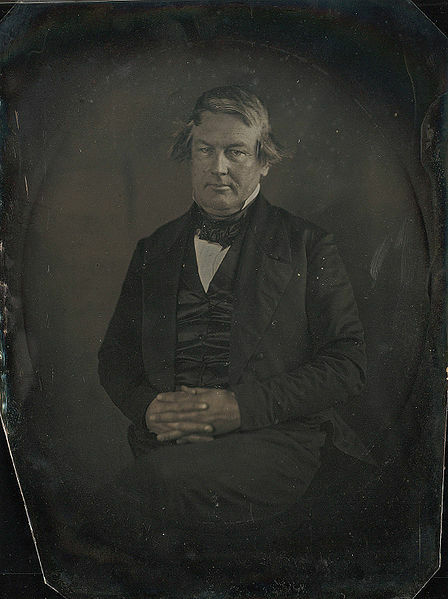 After Taylor’s death, the Compromise of 1850, divided into five bills, was passed by President Fillmore. It strengthened the Fugitive Slave Law, which enforced the capture and return of escaped slaves to their masters. This appeased the Southerners that were using slaves in the cotton industry, while Fillmore tried to apply the law without angering Northerners. Later on, the conflicts were immense to the extent of contributing to the disbandment of the mixed Whig party. Foreign trade in the Asia-Pacific region, particularly in Japan, also started under President Millard Fillmore. It enabled the opening of wide trade markets in China and the Southeast Asia. Although the negotiation to end Japan’s isolation occurred during Franklin Pierce’s presidential term, it was during Fillmore’s when Commodore Matthew Perry was sent to Japan. Another of Fillmore’s notable work was the prevention of France’s annexation of Hawaii. Napoleon II sought to claim the territory, but Fillmore strongly threatened them. The British were still trying to claim territories in Central America even with the Clayton-Bulwer Treaty, and Fillmore went to measures of protecting American tradesmen in Central America from any British interference by deploying several warships. Another conflict resulted in Cuba regarding slavery. Due to the Compromise of 1850, southerners were desperate to expand slave territories. Fillmore had not been able to stop Venezuelan Narciso Lopez when he set out with American troops and invaded Cuba. The invasion failed due to Spanish troops. Fillmore apologized to Spain, upsetting the Northerners while leaving Southerners feeling that he should have supported the invasion. Tension rose with Britain and France threatening to send troops, but Fillmore sent a strong warning making Cuba remain as Spanish territory. Fillmore’s presidency was again tested with the arrival of Lajos Kossuth, the leader of the defeated Hungarian revolution. Kossuth asked for support, wanting the United States to intervene on European governments’ matters, but Fillmore maintained a neutral stand on Hungary’s independence issues. Fillmore was also the first chancellor and one of the founders of the University of Buffalo, a state university in New York. After his presidential term, he returned to the university to serve as a full-time chancellor. The remaining of the Whigs sought refuge in the Republican Party, but Fillmore chose the American Party, originally known as the Know Nothing Movement. Its core concerns were about the threats of Native Americans and the growing German and Irish immigrant population. The name of the movement came from the semi-secret organization members answering “I know nothing” when asked about its activities. In 1856, Fillmore ran for president under this party, but was unsuccessful. Fillmore took law and started his practice 1825, settling at East Aurora with his new bride, Abigail Powers. Abigail died in 1853. His daughter, Mary, died from cholera in 1854. He then toured Europe in 1855. It was said to have convinced Fillmore to resume his career in politics. In 1858, he married Caroline McIntosh. Caroline was a wealthy widow and together they established a large house in Buffalo, New York. The place was hospitable to visitors until Caroline’s health declined. Now in Buffalo, Fillmore founded the current Buffalo and Erie County Historical Society, formerly the Buffalo Historical Society in 1862. He became its first president. It contained most of Fillmore’s correspondences and papers that were distributed to different institutions, including the Penfield Library of the State University of New York. Fillmore was also known for being born middle-class. He didn’t inherit family wealth like most presidents did. Being a lawyer, he was also known to be first among a long line of presidents who held long-time careers in public service. Fillmore died on March 8, 1874, due to remnants of a stroke. He was buried in the Forest Lawn Cemetery of Buffalo, and on the 7th of January every year a ceremony is held for him. His first house in East Aurora was made a National Historic Landmark. It also appeared on his biography book written by Robert J. Rayback. The Whigs refused to support Millard Fillmore in 1852, mainly due to his approval of the Fugitive Slave Act. According to Robert J. Rayback (author of Millard Fillmore: Biography of a President (1959)), the continuous party conflict overlooked some of the good aspects of Fillmore’s administration. For one, Fillmore’s decisions resulted in avoiding future problems. An example provided was his constant monitoring of Mexico, laying the groundwork for the acquisition of significant territories in Mexico by the Pierce administration through the Gadsden Purchase in 1853. He also avoided possible conflict with Spain, France, and Britain regarding Cuba. I’m working on a research paper on Millard Fillmore and I need 25 more facts for my one note card…any other website suggestions?